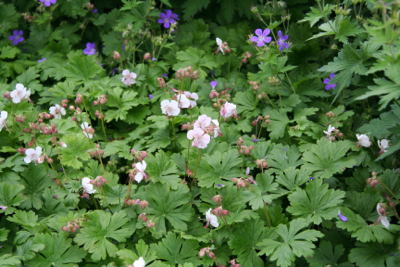 Many people panic when faced with shady areas to plant and seem to think ‘nothing will grow in shade’. SO not true! It’s a fact that flowering interest is limited by shade (mainly to spring time), but by focusing on contrasting foliage colour and textures it’s possible to create a lovely scheme for shady areas. Here are just some of the plants I rely on to brighten up gloomy borders. Although it may not be top of the Most Exciting Plants list, Euonymus fortunei ‘Emerald Gaiety’ is completely invaluable in difficult areas of the garden (including dry shade) and brings light and texture to even the gloomiest corner. Somewhat misleadingly named, its evergreen foliage is actually dark green with white margins and may flush to a deep rose pink in winter that looks beautiful next to deep pink Helleborus orientalis. 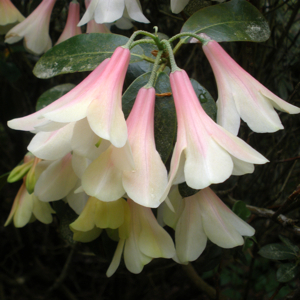 Happy in both full sun and shade, this tough and obliging shrub will grow in any reasonably well drained soil and requires no more care than a light clip if it gets out of shape. Grown against a fence or wall (where it will spread to roughly 2 metres), ‘Emerald Gaiety’ makes an excellent backdrop for other shrubs such as white flowered camellias, Fatsia Japonica or Choisya Ternata. 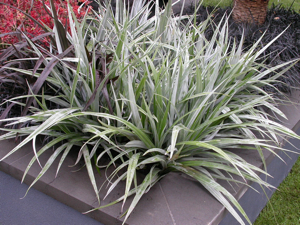 As a bush its low spreading form (about 80cm high by 1m wide) provides truly low maintenance groundcover. Top tip: prune out any plain green shoots to the base as soon as they are spotted. Hosta ‘Francee’ is a vigorous variety that makes an elegantly striking specimen in a shady spot in the garden. Its large heart-shaped, puckered leaves are olive green in colour with well-defined white margins that stand out in the shade and provide an interesting contrast in shape and texture to those of other shade lovers such as ferns. They retain their freshness well into September provided they are protected from slugs and snails. In July and August, impressive spires of pale lavender flowers rise above the leaves. 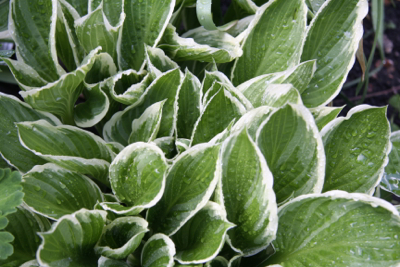 Hostas are fully hardy and very tolerant of soil type as long as it is reasonably moist. As we all know, the big problem with Hostas are the dreaded slugs and snails which just can’t resist those luscious leaves. ‘Francee’s’ thick, puckered leaves make it more resistant to damage than some other varieties, but protection is still a must for it to look its best. Applying a nematode treatment in spring helps ward off slugs or try a generous mulch of ‘Strulch’, a mineralised straw whose texture and iron content does seem to be effective in deterring both slugs and snails. Top tip: thicker, lusher leaves will be produced if your Hosta gets a good feed so mulch well around the base in autumn with a 5-10cm deep layer of organic compost or leaf mould. Always an oddity amongst the asters due to its love of shade and its distinctive form, Aster divaricatus, or the white wood anemone, has finally been found out and reclassified as Eurybia divaricatus. Whatever it might be called, it remains one of the prettiest of all the shade-loving plants, its branching, dark red/black, wiry stems and evergreen olive leaves contrasting perfectly with the frothy sprays of dainty white flowers produced throughout summer and autumn. 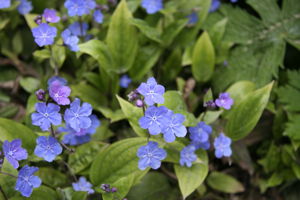 Once established this hardy perennial is tolerant of dry shade and reaches a height and spread of 60cm x 45cm. Top tip: grow along the edge of a shady border amongst Bergenias where the white flowers will provide a change of texture and a splash of light towards the end of the season. 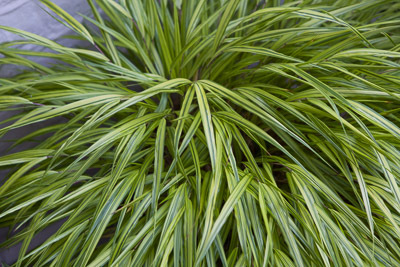 Hakonechloa macra Alboaurea is a small, slow spreading ornamental grass that forms tufted, emerald green hummocks (40cm high x 35cm across) and creates light and texture on the edges of a shady border. It is native to Japan and planted en masse makes an eye catching carpet of bright green that does indeed lend a Japanese feel to planting groups. Added interest and movement are provided by sprays of fine lime green flowers in July and August while the gracefully arching leaves gradually turn rich russet shades as autumn progresses. This grass makes a lovely soft edging to paths and steps and its clean, neat form makes it a good choice for formal patios and courtyards and contemporary, minimalist plantings. 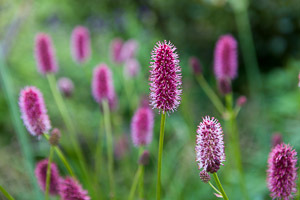 It prefers a cool, moist position and will benefit from a humus rich mulch in autumn. 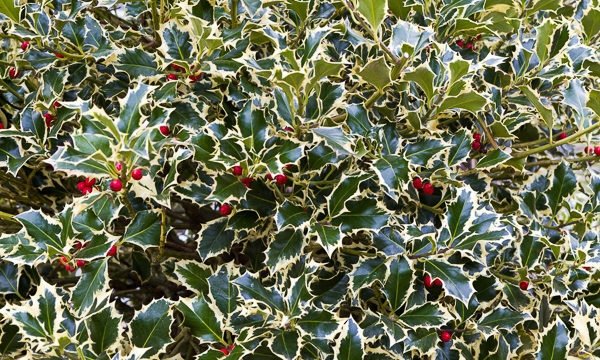 Top tip: cut old foliage back to ground level in early spring before the new leaves appear. 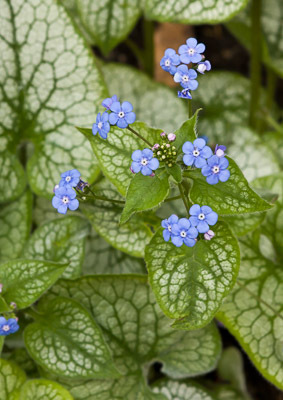 In early spring large, heart shaped deep green and silver leaves are followed by bright blue, forget-me-not flowers, making Brunnera macrophylla ‘Jack Frost’ one of the loveliest spring flowering perennials around. It’s wonderful planted under deciduous trees and shrubs or front of border to create pools of light in shady borders or along a woodland path and looks especially effective intermixed with yellow Narcissi. For best performance, plant this hardy perennial in moist, humus rich soil. Height and spread: 60cm x 45cm. Top tip: cut back any plain green leaves to the base as they appear. 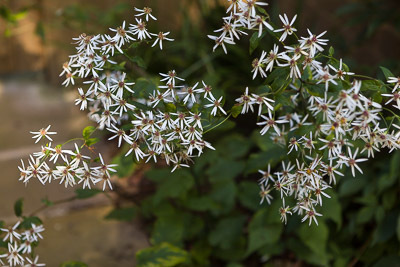 I love the demure beauty of shade plants but Eurybia is a new one for me – I’ll look out for it. One to try, thanks for the inspiration.